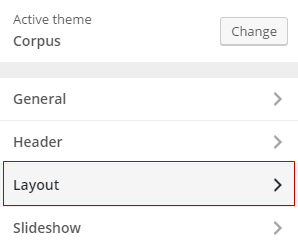 Corpus is a responsive theme for corporate or blogging sites. It supports slideshow, custom menu and sidebars. 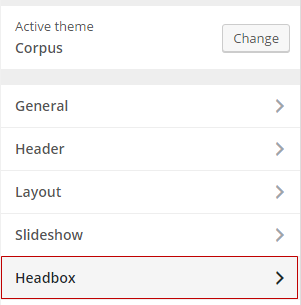 When you first activate Corpus, you’ll see a header image with a link to See Documentation. Or click on Customize in your admin bar. 2. 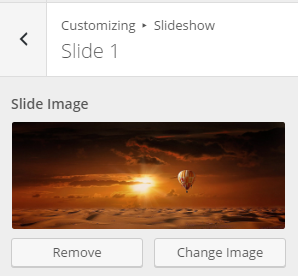 Click on Slideshow in the Customizer to reveal the Slideshow options. 5. Choose an image from your media library or upload a new image from your computer. 6. Click on Choose Image. 7. 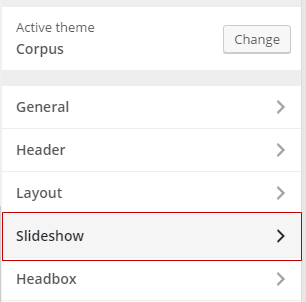 Replace the text in slide heading, slide content, slide button (text) and slide button (URL) with your own content or remove all text from these fields. 8. 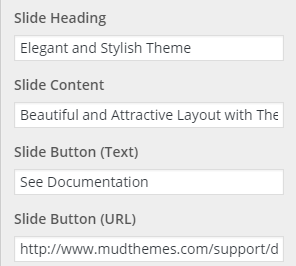 Your new image should appear in your blog preview window. 9. Upload an image to Slide 2 if you want to display as a Slideshow. 9. 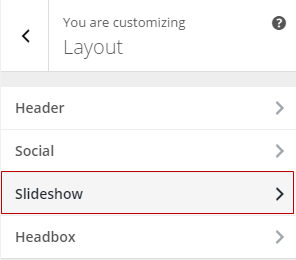 Click Save & Publish on the Customizer to activate the new image (or slideshow) on your blog. 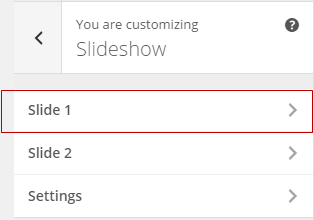 The header image with a link to See Documentation is added using Slide 1 in the Slideshow in the Customizer. 3. 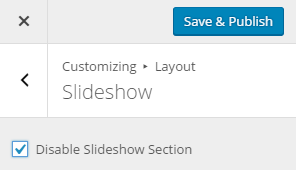 Select the checkbox next to Disable slideshow section. 4. Click Save & Publish on the Customizer. By default, headboxes are displayed under the Slideshow. 2. Click on Column 1. 3. 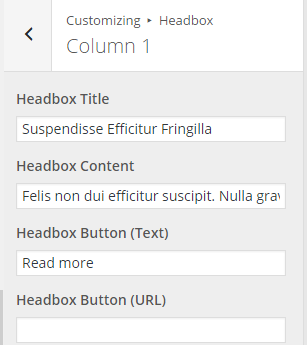 Replace text in Headbox title, Headbox content, Headbox button (text) and Headbox button (URL) with your own content. 4. Repeat the process to replace all text in Column 2, 3 and 4. 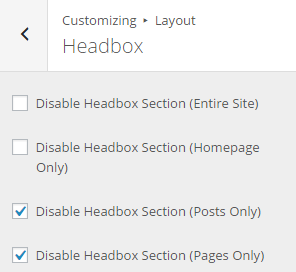 By default, the headboxes are only displayed on the homepage. 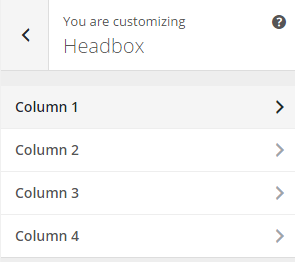 You control where the headboxes are displayed in Customizer > Layout > Headbox.